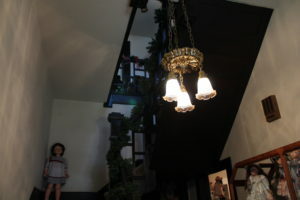 The Granbury Doll House resides in an enchanting, two story historic beauty built in 1905. 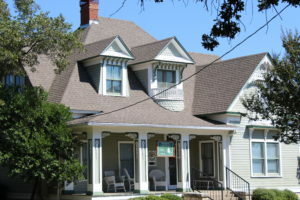 You will find it nestled behind a charming little fence, on a tree lined street, right off the square in Granbury, Texas. Cradled within its walls is a magnificent collection of dolls from around the world. Even with over 2500 adoptions, I mean donations, there is still plenty of love available for future arrivals. This museum is a must see for all ages. Men, women and children will find some treasure to interest them in this vast collection. As you make your way through the rooms, you will see everything from Madame Alexander collections, to glorious antique dolls of all types. Turn your head, and G.I. Joe is ready for action. Look in another direction to see Girl Scout and Brownie dolls that bring back a flood of happy memories to many. Your heart will melt at the sight of baby dolls blissfully sleeping in delicate lace. 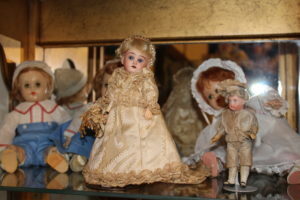 Another room brings Thai dancers, ballerinas, beautiful brides, and even a rare blonde 1922 Dolly Reckord doll. Most of them had brown hair. The voice is heard through a miniature phonograph activated by a crank sticking out of the doll’s back, which was invented by Thomas Edison. I will never forget the lovely child’s voice reciting a nursery rhyme to me, that was recorded over 94 years ago! 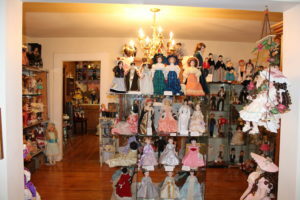 If you admire or collect miniatures, spend some time in the back room just past the kitchen. There, you will find several Dollhouses filled with tiny delights. One beauty that was my favorite, has the maker’s ancestors gazing back at you from tiny frames in each room. 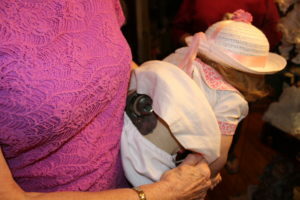 Donors are comforted, knowing their cherished dolls will continue to stay in the little family groups they built through a lifetime of collecting. Happy in the knowledge they will not be sold or discarded after they pass away. 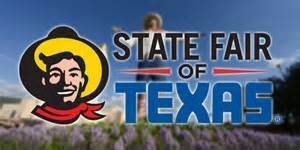 It is definitely worth your time and donation to visit, haunted or not. But it is! I never felt anything negative, but there was a lot of activity the night I was invited to join Texas RIP Team to investigate. For me, the highest concentration of energy was located near the stairs and the rooms to each side of the kitchen. 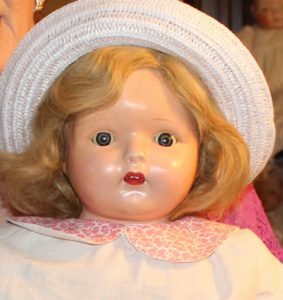 There is a beautiful blonde, green-eyed doll standing guard at the kitchen entrance. A mischievous boy doll on top of the refrigerator with a big smile on his face, seemed delighted we were there. We received many confirmations to our questions, using various paranormal equipment. The spirits seem to be very happy with Barbara and Jane running the museum. 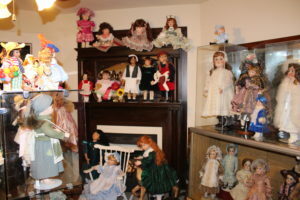 I can’t wait to go back and spend time looking at the many doll filled rooms. One visit is just not enough! 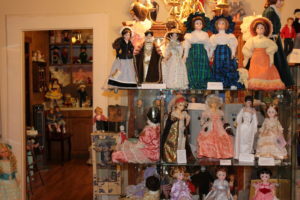 The Granbury Doll House museum located at 421 Bridge Street, Granbury, Tx 76048, is open Fridays and Saturdays from 10:00 to 4:00 and Sundays from 1:00 to 4:00. 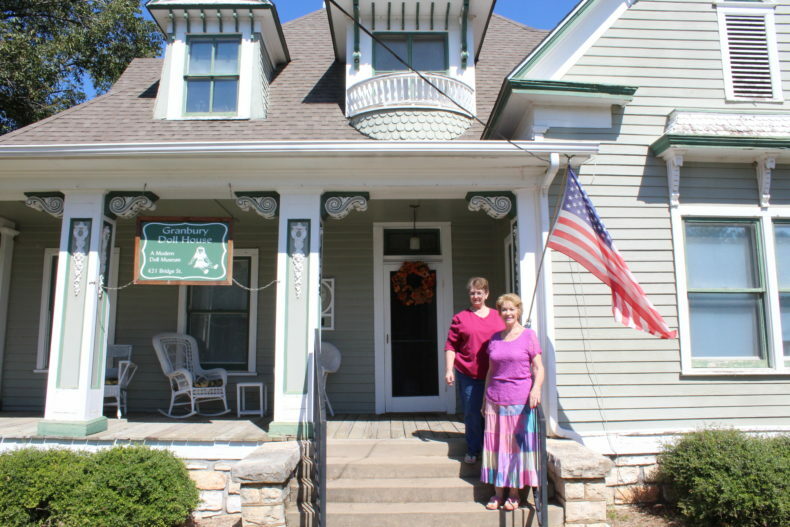 If you see the American flag flying from the porch, they are ready to greet you! 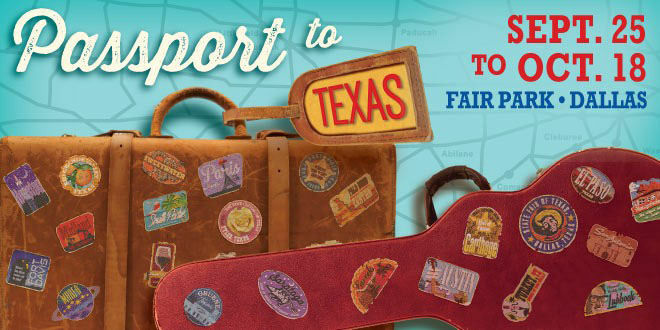 Private tours are also available by calling (817)-894-5194.